Magic Submitter Review – Does Link Building tool Works? Many tools in the market claim getting rank your site on the first page of Google. Magic Submitter is also one among them that has been very popular among people. I personally do not a big fan of using any automated tools because of strict guidelines issued by Google in the previous years. Magic Submitter is an article submission tool that submits your article to different places on the web and also distributes your link to that places. The links then transfer authority to your site and hence better ranking. There is no doubt that links from quality sites would help your site ranking, but the issue is whether it still help after it has been created from any automated tools? In this review, I will give you in-depth analysis of how this tool works and what are its pros and cons. After buying this product, you may easily use this software. The first step is to create your profile and email addresses, which it creates for yourself in socket mode without using any browser. The next step is to activate those accounts. No need to worry as you don’t need to visit each account manually rather it is just a click of a button on the software. After doing above, the next step is to create content. It would be a better option to place spin syntax in the title, description and body because let’s suppose you have chosen 20 social bookmarking sites then it will generate unique content for each site. There are a vast variety of options you can choose for backlink purposes including article directories, videos sites, forums, press releases, Web 2.0 directories, social bookmarking and niche sites. You may choose any of them and let’s suppose you have chosen social bookmarking sites then it will display the best page rank site including in this category, and you may choose any or all of them for backlinking purposes and with a click of a button, your content will be distributed to those sites. This is the best thing in this tool, and you can select a campaign and graphically draw everything to your money site, tier 1 links, tier 2 links and tier 3 links. Once you have all set, then you may spread your backlinks for a particular period. You may set first level links will be drip feed for next seven days, second tier links drip feed for next 14 days and so on. 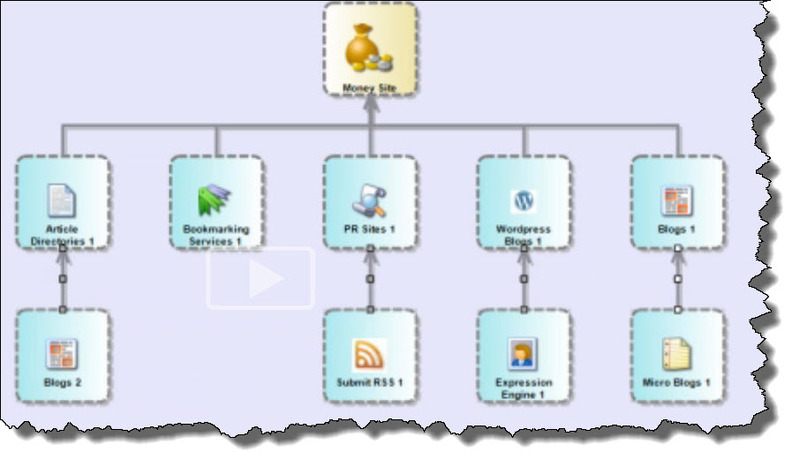 You can personally select which link building platform you want to use for a particular level. You may choose article directories, Social bookmarking sites, and web 2.0 on level one or anything else and blog comment, PDF sites, video sites on level 2 and so on. It is all fully customizable and once you have set all the things that can hardly take your 20 minutes then just sit and watch your tier links grown. Spreading your link campaign is critical because if you have created tons of links to your site, then your money site could penalize in the next day. The slowly you build links, the better results would you get. I am not a great supporter of any tool used for link building purposes but still if you desire to use it then use it in this manner that I have talked above. This is the simple term that describes this method. Black hat simply anything that is violating Google terms and conditions. Even 99% of the people are violating Google’s policies in one way or the other, but the thing is, one may violate that is very common among people. As per Google you cannot build your own link for your site, but if you have created a video on YouTube and shares a link in the description, then it is ok, as all other people are doing this and even Google knows this. The thing is you should not try to manipulate their algorithms and the more compliant you are, the longer your business will run. You may get instant results within one month, and that stays for one month but getting long term success with this approach is not possible anymore. It might work for the past 3 to 5 years back where people are playing with Google’s loopholes and where they also prefer quantity of links but nowadays it is all about quality. A link from Wikipedia is stronger than thousands of spammy backlinks. The price is also not an ideal thing for this product. Though the product is an excellent software that has eased up the whole process, if it works. The price is on the expensive side, and a beginner cannot afford such price. For the first month, it is available at a reasonable price of $4.95 and after that you will have to pay a hefty investment of $67 per month. 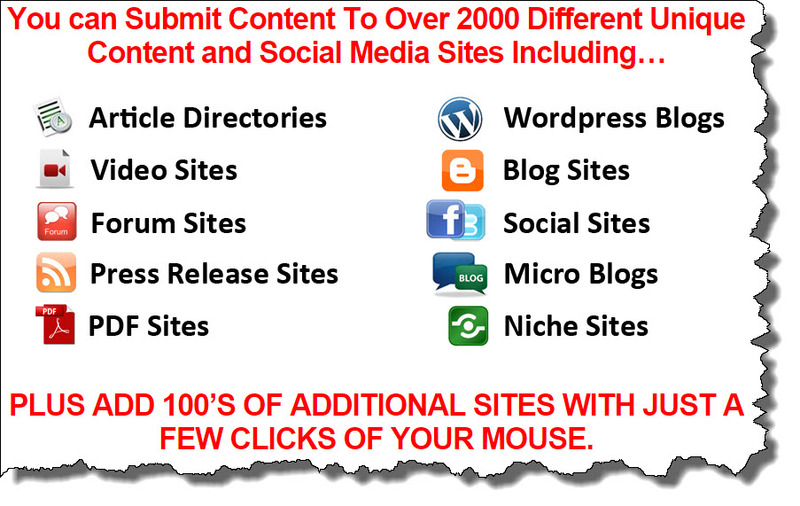 With this tool, you also need to pay for article spinner for creating unique content. If you are looking for long term business then this is truly not a right product for you. Though Alex has developed an excellent tool and I am very surprised after using this, but the thing is Google don’t like this, and you may destroy all your venture after using this. I know the majority of people are using black hat methods in the form of automated software’s, creating private and public blog networks, and getting spammy backlinks, but they would not work anymore. If you want to succeed online, then your prime focus is to write quality content for your audience. Moreover, the price of this product is too high. You are paying $67 per month for spammy backlinks. I never pay such a large sum for this purpose that has no benefit to your business. I am a member of a platform that guides you 100% legit business model at a far lesser amount, so why not be a part of such platform. Its name is Wealthy Affiliate, and I have provided a detailed Wealthy Affiliate Review here.